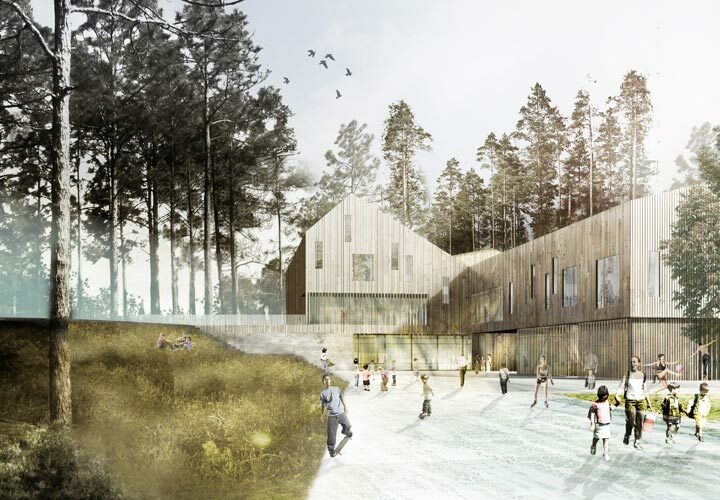 The new Raufoss School is located on a site in the western outskirts of the city Raufoss, close to a forested recreational area with a lake. 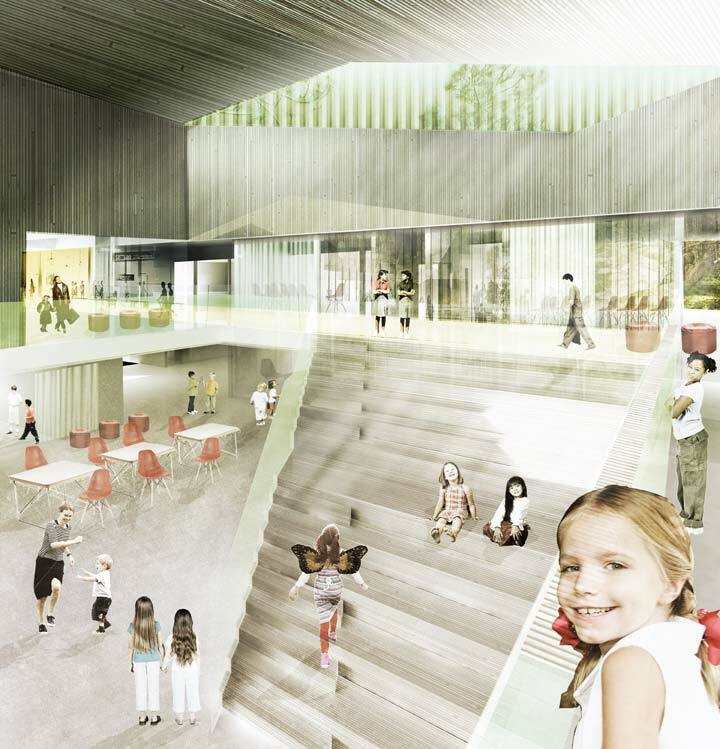 Thus, the school is situated in a transition zone between the urban and the natural landscape. In a way the school itself manifests this transition. 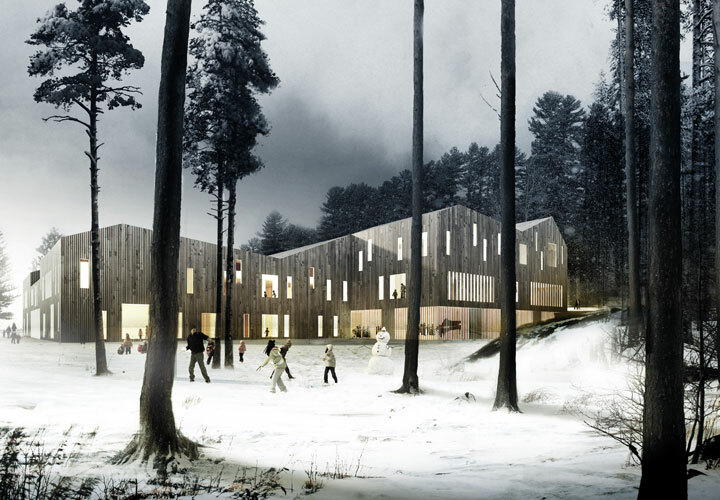 Therefore, the building’s design and internal organisation is laid out to contain an urban as well as a natural dimension, each supporting and encouraging different learning and playing situations. The building is positioned so it divides the site’s different outdoor areas with varying sizes and qualities. The building is designed to establish two composite units. The gradual downsizing of the main volume – from a compact volume to two composite units followed by the introduction of a medium and a small scale in the roofed terraces – successively meets the children’s own scale and context. The same working with scale creates the interior’s main flow areas, squares and passages, which offer varying locations for activities and breaks. 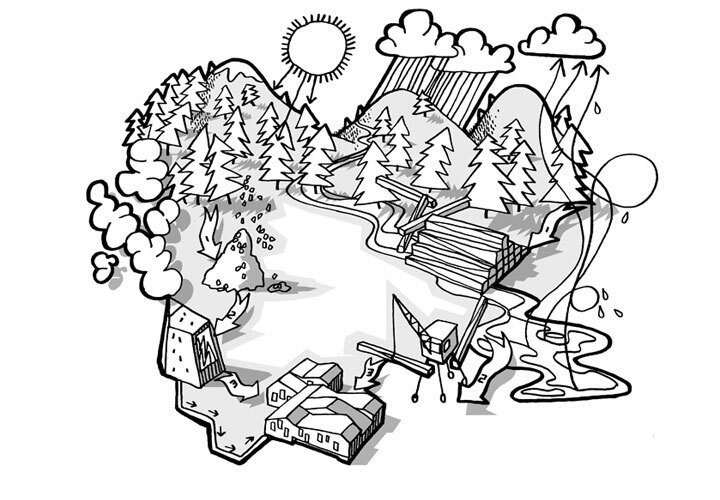 The spatialities are differentiated on order to accommodate different age groups, in terms of location as well as layout. The spatial proportions and the composition of the facades intend to create intimacy between the building and the children on their way from childhood to youth.